Real New York Hot Dogs with pure BOEUF sausages, typical ingredients of quality for beef or vegetarian for recipes faithful to the famous hot dogs cards that criss-cross the streets of Manhattan NYC. 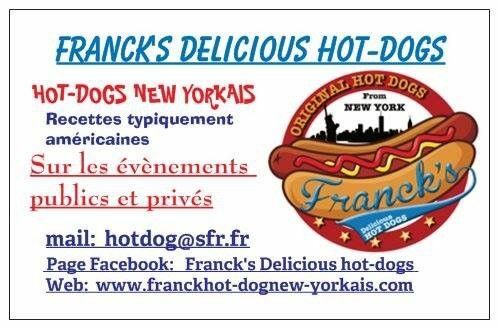 Dates to check on the Facebook page "Franck's delicious hot dogs". Proposal also for privatization for birthdays, anniversaries, after weddings or corporate events... caterer hot dog for all occasions!